Little paper plates are a crafting staple! They are right up there with markers and glue. 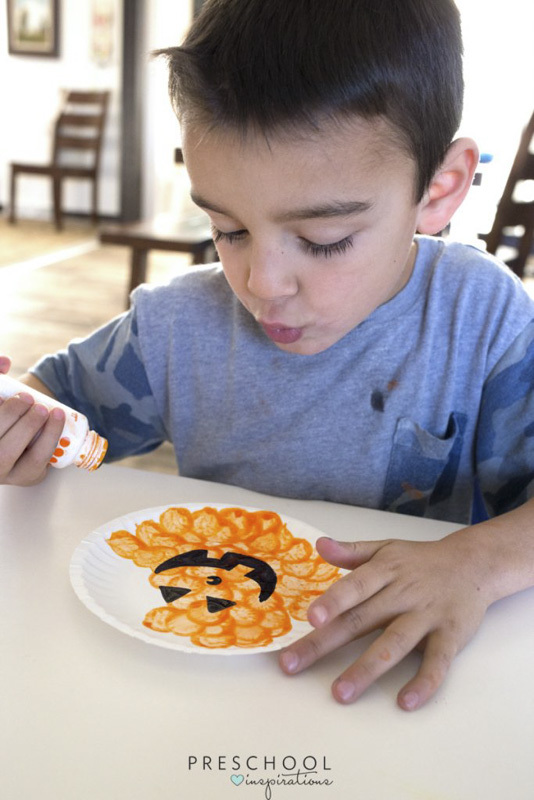 In spring we like to use them to make flowers, in summer they become the sun, in winter they can be cut like snowflakes, and in fall we use them for a jack-o-lantern or pumpkin craft! These jack-o-lanterns are easy and so cheery (we can have cheery jack-o-lanterns, right?). My preschoolers asked to make multiple versions and proudly displayed each one in our art area. Gather the necessary supplies. 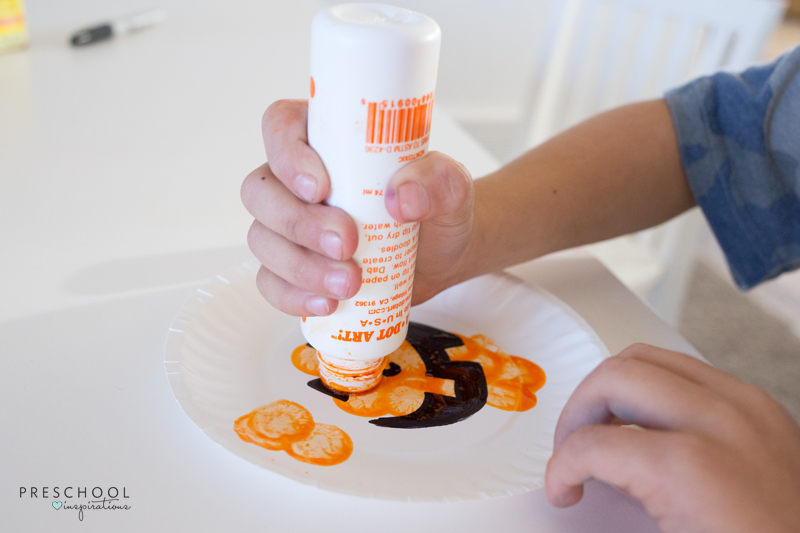 Also, be sure to have more than one paper plate available for each child, because this craft begs to be repeated! 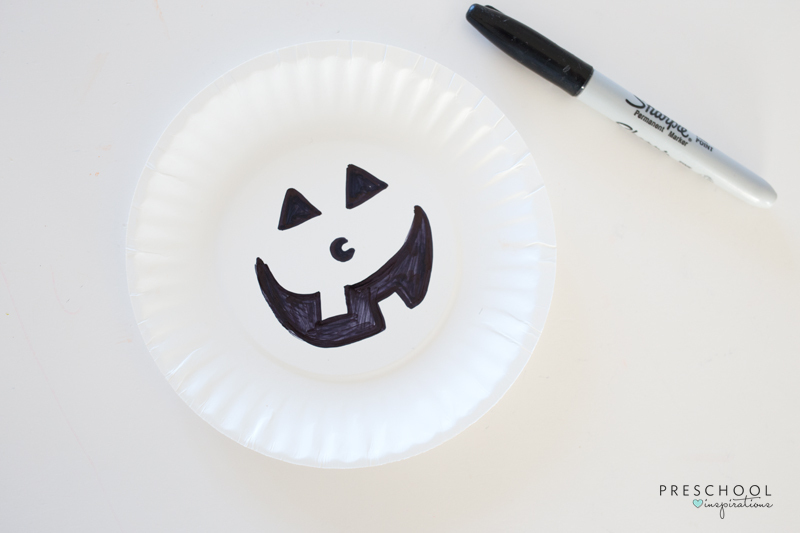 To make the craft, first draw on a jack-o-lantern face on the paper plate. Each child may draw one from their imagination or use an example to follow. Next, give each child an orange dot marker. Let them cover their plates in orange circles. They can dot right on top of the black marker without worry. The last step is to glue on a piece of green construction paper for the stem. 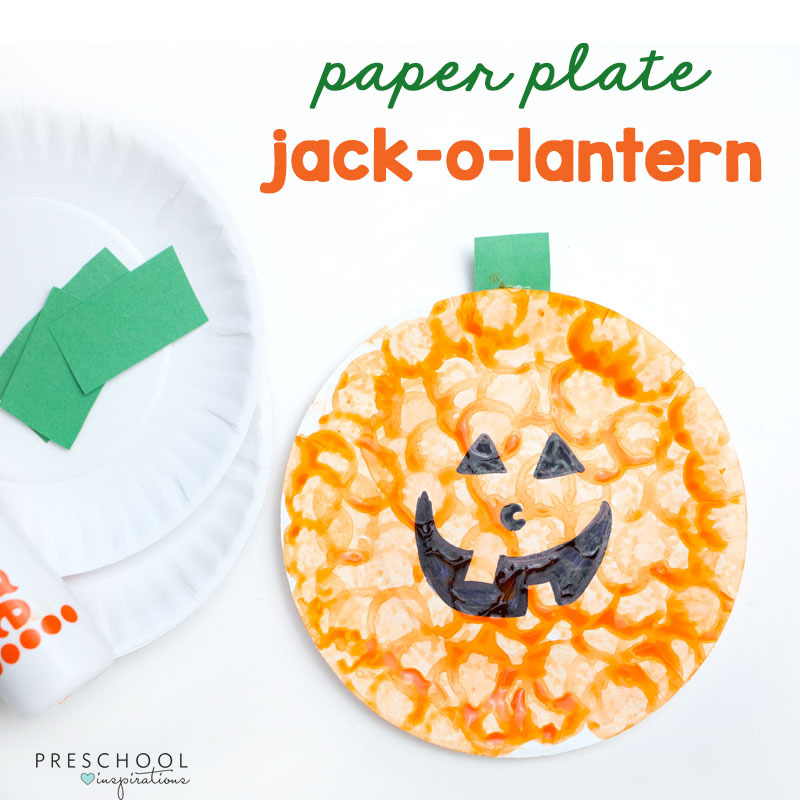 That completes this simple paper plate jack-o-lantern pumpkin craft! How many of them will your kids make? 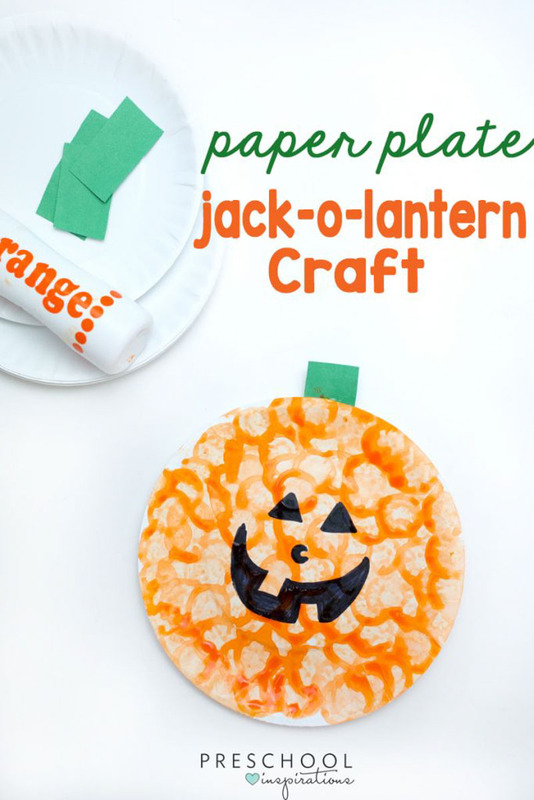 Tip: You can also use green tape instead of construction paper to tape these little jack-o-lanterns right in a window!